← Author or Character Interviews, Anyone? 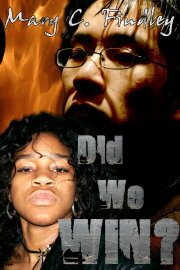 I can make you a pretty nice book cover using the large number of stock images, textures, and fonts that I own. I can apply metallics, leathers, fabrics, stone — some very cool backgrounds, text, and objects. If you wish to use an image I don’t have or can’t find for free, you can purchase it and send it to me, so that you own it, not me. I made this sample with free images I found at various online sites. The background is flames, and the title is a photo of a broken window I applied as a texture. I have quite a few “free” people I can use. 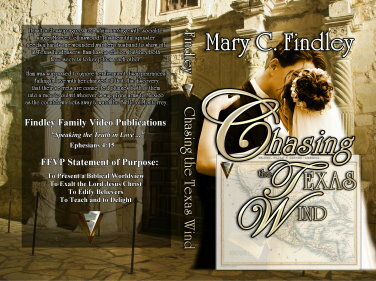 I can provide an ebook cover that meets the larger file size requirements of iTunes and Amazon, in jpg and tiff formats. The one shown above and the others on this blog are 10% of their actual size, and all my covers are 300 DPI so that they look their best and translate into print covers without a problem. I can also make full print covers to CreateSpace specifications and give you a jpg to show off and a pdf to upload to CreateSpace. This print cover also uses free images, and the font is a metallic texture using several different fonts to achieve the best effect and fitting the words together. This print cover is also 10% of the full size. 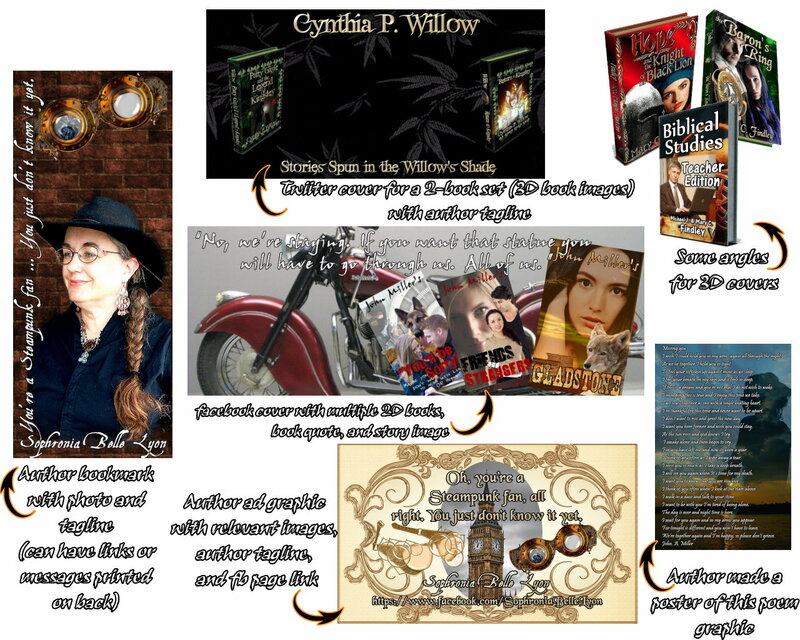 My cover package includes ebook, print book, bookmark, and a facebook cover (an image you can upload to facebook on your author or regular page) that includes your book(s) and a small amount of text with a complementary background. This is a sample facebook cover at 50% actual size, incorporating a 2-D book image, an appropriate background for the book’s subject, and a quote from the text. Facebook does not permit links at this time. 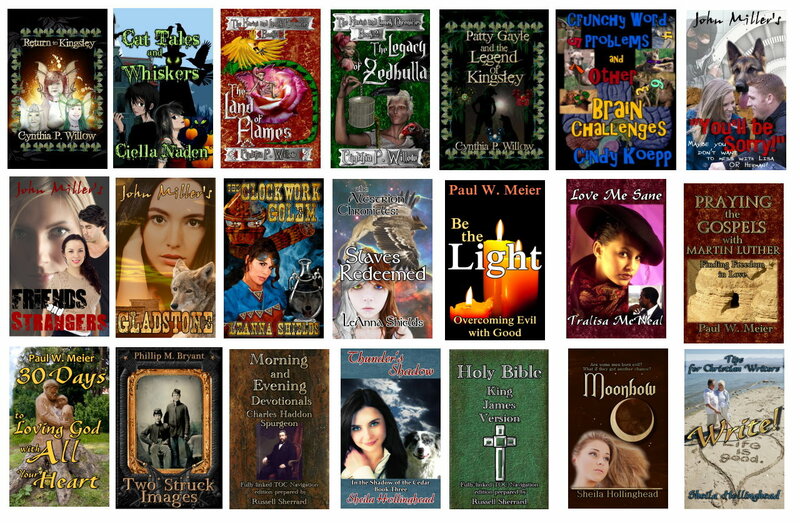 You can also request a Twitter cover, 3D images of your books included in your graphics, and ad graphics to promote your books for an additional charge. 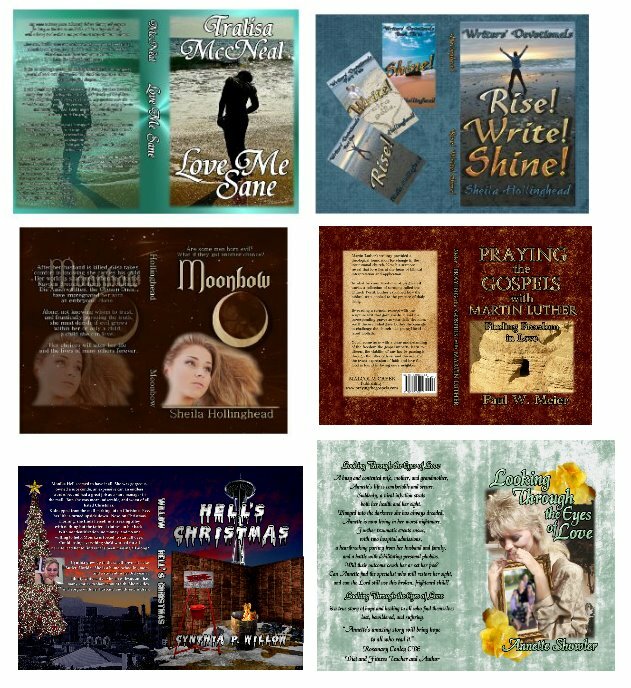 Here are some of the ebook covers I’ve done for clients. Here are some of the print covers I’ve made for other authors. From Stan Bednarz, award winning author of Miracle on Snowbird Lake.